While Winter has hit, it has for whatever reason felt oddly like Spring, and I can’t place a finger on what to attribute that to. Regardless, 2018 is in its waning moments, and it’s typically during these last few weeks in which I’m the most interested in shoving away the missteps from the preceding year. I’ve never known someone capable of sticking to a resolution, and I’ve never been the type to make them, myself, but there is certainly something special about the end of a year. Being able to let out a well-earned exhale after the business of the Holiday season, coupled with the looming potential of what a new year might bring. And having the opportunity to rest is of course welcome, though at the same time, it can be easy to dig yourself into a sloth-like routine of eat and sleep and little else. Diligence isn’t my strong suit, sadly, especially when sleep is an option. It has been thousands of years since the prosperity of humanity. The serrated, barren landscape plays host to an untold number of hideous mutants and terrible creatures. Humankind exists, and enjoys the benefits of technology, but is by no means the apex creature. During a difficult hunt at night, the young Doris Lang finds herself falling victim to a vampire. While she is left with her life, she has been cursed with the telltale marks of the monster’s bite. Fearing for her life, Doris enlists the skills of the mysterious and quiet swordsman known only as D, to protect her from the grasp of her would-be defilers. 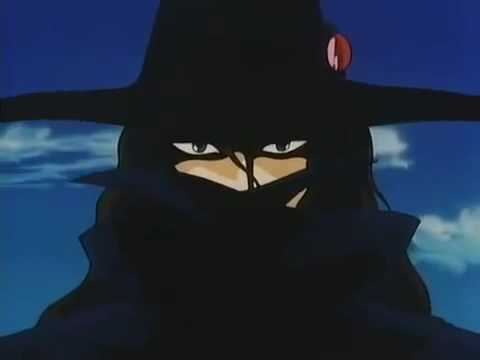 Vampire Hunter D was an anime film I watched during high school; back when the mechanical clank and clatter of VHS decks were the norm. That said, it was difficult to find much nostalgia in rewatching this movie after all of these years. I do recall contracting food poisoning the night I watched it back then, which likely soured the memory a bit. This is a film which shows its age, and I think it’s important when watching it, to keep in mind that this film was produced in an era before computers were there to aid animators; it was all done by hand, per frame. Studio Ghibli wouldn’t steal the scene for a few years yet, and classics such as Akira and Ghost in the Shell wouldn’t come along for years. The tropes and tendencies of modern anime hadn’t yet been established, and as such there is a very raw sort of feeling to the visuals and audio on display. The pacing is sort of rotten, with characters seemingly teleporting from one location to the next with little explanation in some instances, as well as glacially slow shots of characters in motion or establishing shots of the environments. Most of the action scenes are clumsy and stiff, and there are several distracting scenes with animated shots which already occurred earlier in the film. It’s rough by today’s standards, but there is still something in there which shines through, and it’s the style and tone. Movies don’t take their time anymore. While there are of course great movies out there nowadays, I can’t recall the last one which had me feel like I was being drawn into a world the way this film and something like Ghost in the Shell does, and I think a lot of that is thanks to those extended establishing shots and the slow pace of the narrative. It isn’t the most efficient way to tell an engrossing plot, but it most certainly gives you time to soak yourself into the world. This is a world worth sinking into, as well, if only for an afternoon. The idea of a modernized civilization existing well after the rise and fall of humanity is something I love, and I also love that this film doesn’t waste any time attempting to explain how the world became ruins, and instead tells its story as though this world is the norm. It’s a simple “save the girl” narrative, with a few obvious twists here or there, but D is a cool protagonist, even if we aren’t given much insight into him as a character come the end, and the supporting characters are surprisingly memorable, too. There isn’t a lot of character growth to be seen, but the designs are decent, and most characters get their moment(s) to shine either in combat or within the narrative. 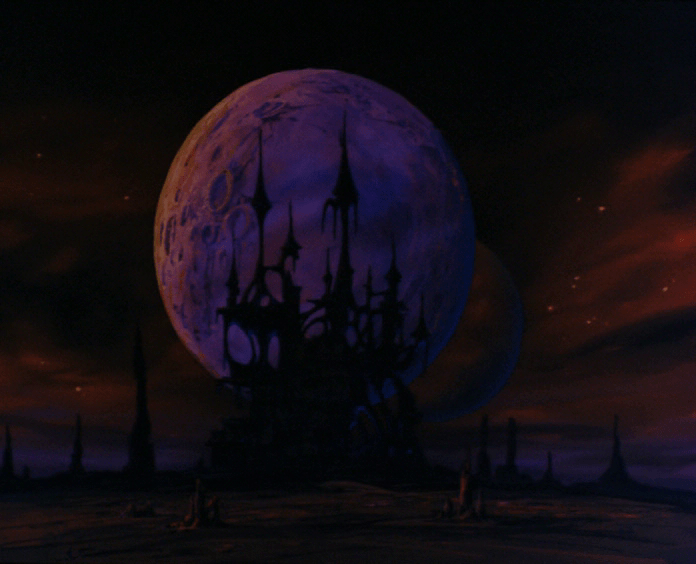 It’s rough around its edges, but if you have an afternoon or evening with enough quiet to drink in its tone, I think Vampire Hunter D is every bit worth a watch now as it was back in its heyday. 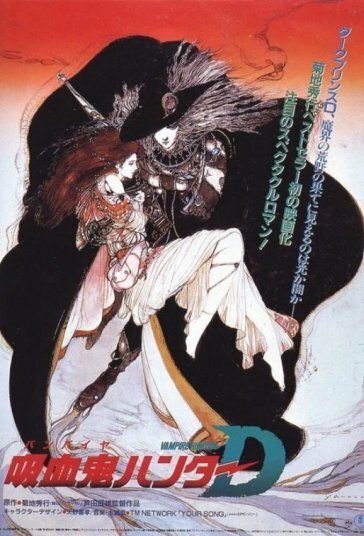 Vampire Hunter D isn’t what I’d consider a gem from the past, but there is plenty nestled within its slow pace and uneven visuals to appreciate. If you’re looking for a dark, morbid tale in an interesting setting, give it a go! As I mentioned before, I’m currently throwing myself at the Year End Article, and while I can already tell it isn’t going to be sporting the biggest numbers as far as quantity of series or games finished, there should be plenty there to talk about for sure. I have some free time coming up in a few days, and I so, so want to do some videos on some fun stuff I’ve accrued over the past few months. Maybe we’ll do a stream or two? Who can say. I hope everyone had a safe and sane holiday season!